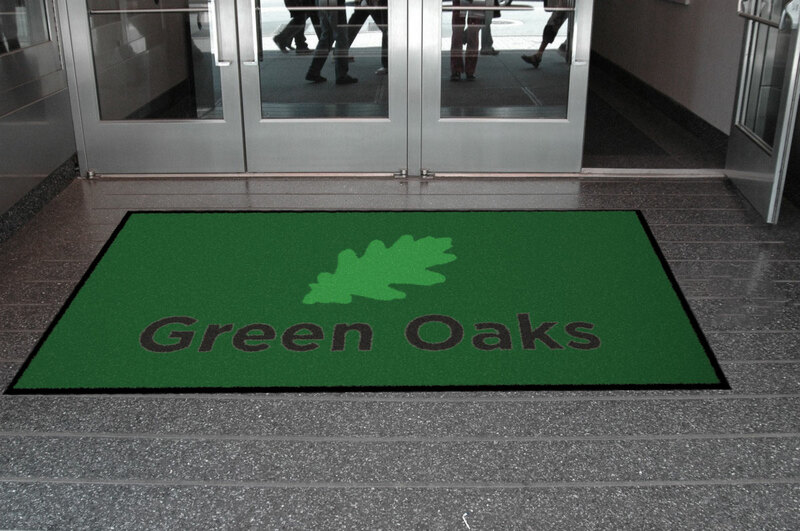 We supply high quality & great value Logo Mats designed for high foot traffic areas. 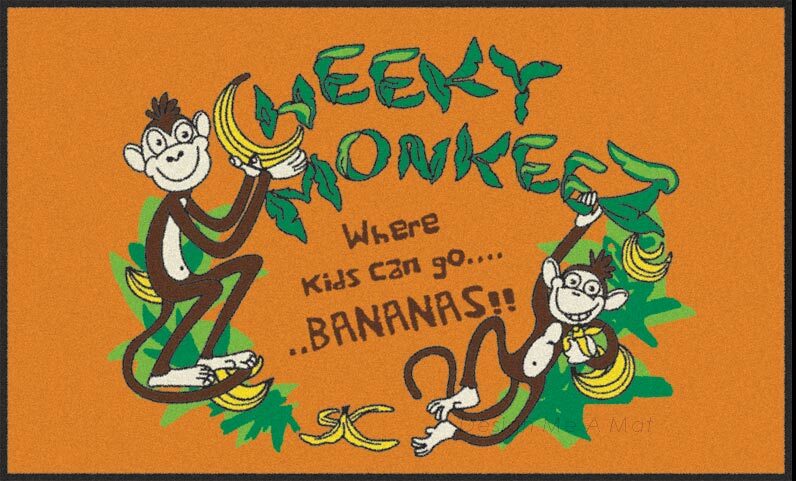 Perfect for use in busy reception areas or any business entrances. 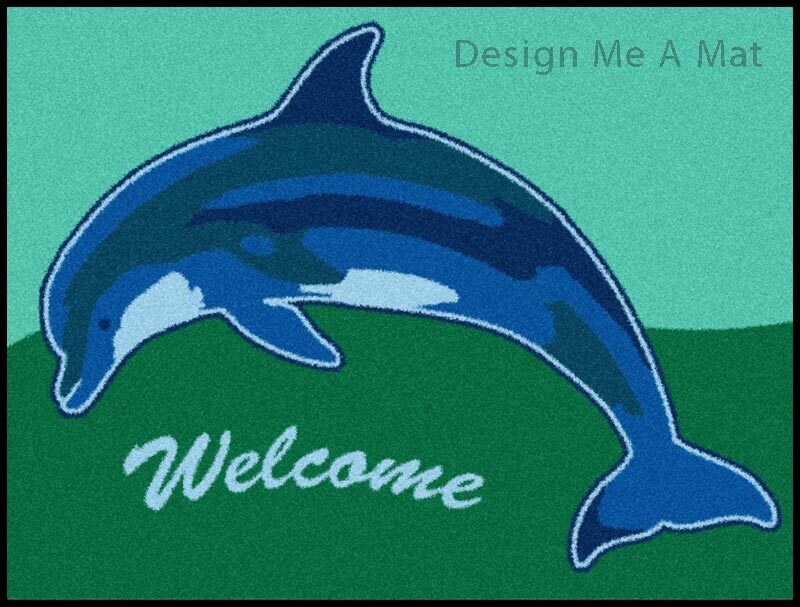 Our typical customers are Schools, Restaurants, Pubs, Shops, Hair Salons, Hotels or any other business that needs a vibrant and durable Logo entrance Mat to welcome their visitors. 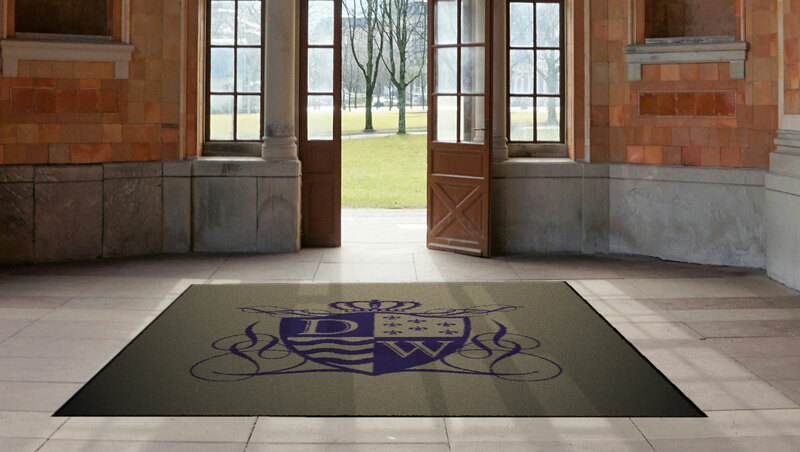 It’s a fantastic way to promote your corporate identity by having your own Unique Logo Mat in your entrance or reception area of your establishment. Some other major benefits are that you will be helping to protect your flooring and therefore making long term savings. 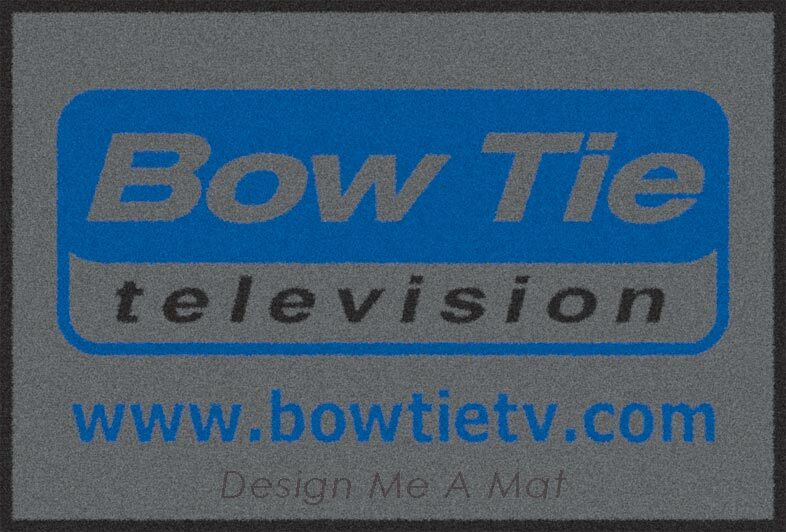 Our Logo Mats are backed onto long lasting Nitrile Rubber for maximum durability, resistant to oil and grease. The surface carpet is made from a tough Nylon based fabric, soft to walk on and also designed to be long lasting. 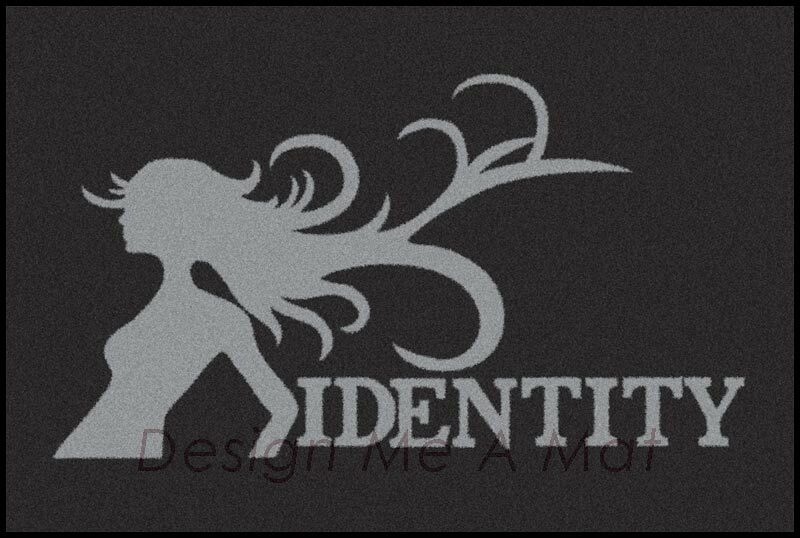 See more logo mat examples. 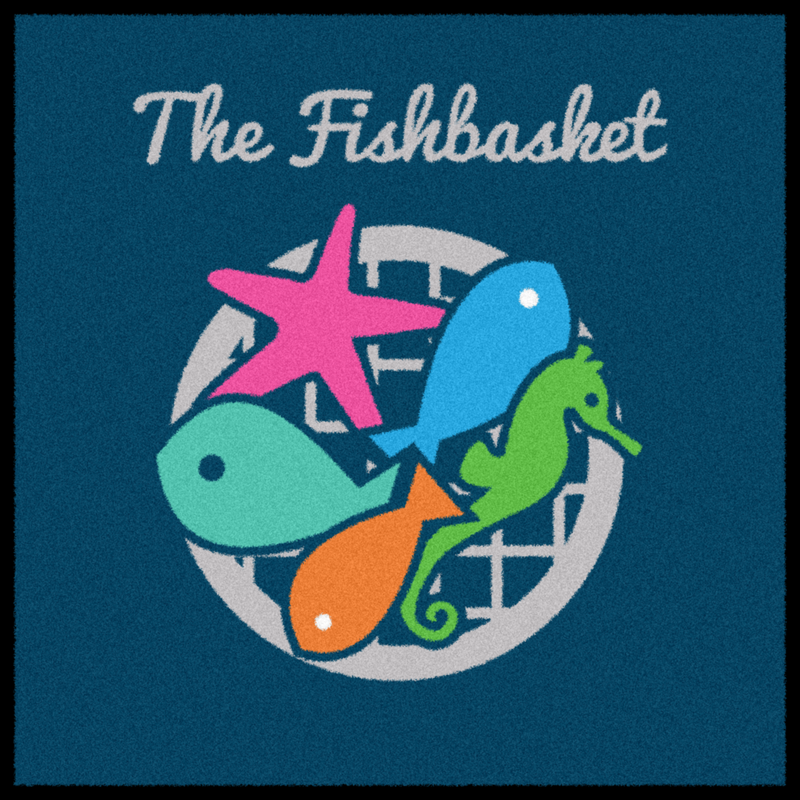 Please send your artwork to us for a free quote using the order form on this page. We will reply to confirm the price. 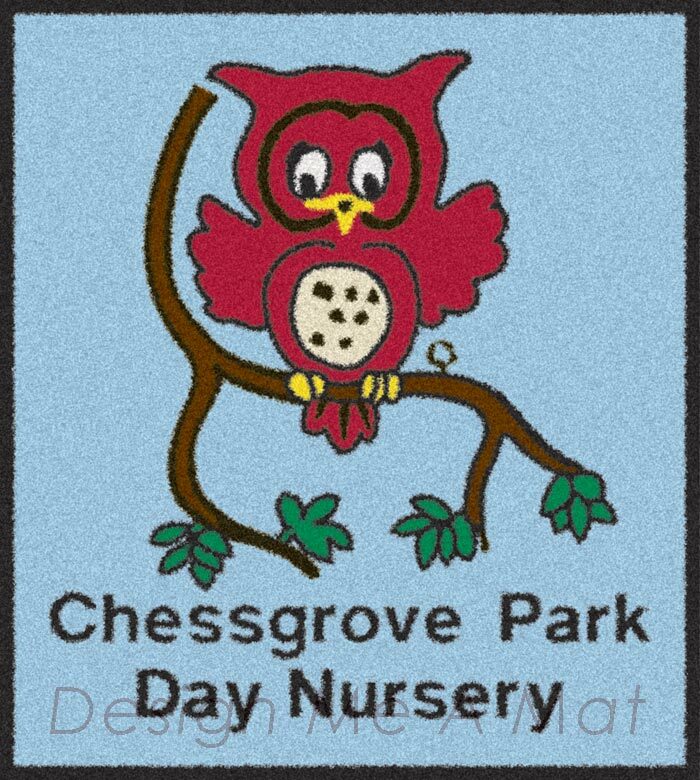 If you’re happy with our quote we will draw up the logo mat visual for your approval, usually within 24 hours. Once you have approved the visual, we will email an invoice for payment. Once payment has been received we will proceed with your order. Made from High Quality materials, designed to last. Value for money, with FREE UK delivery. 95% effective at preventing dirt & dust from entering your building. Printed using Chromojet printing technology. (Choose from 53 colours). 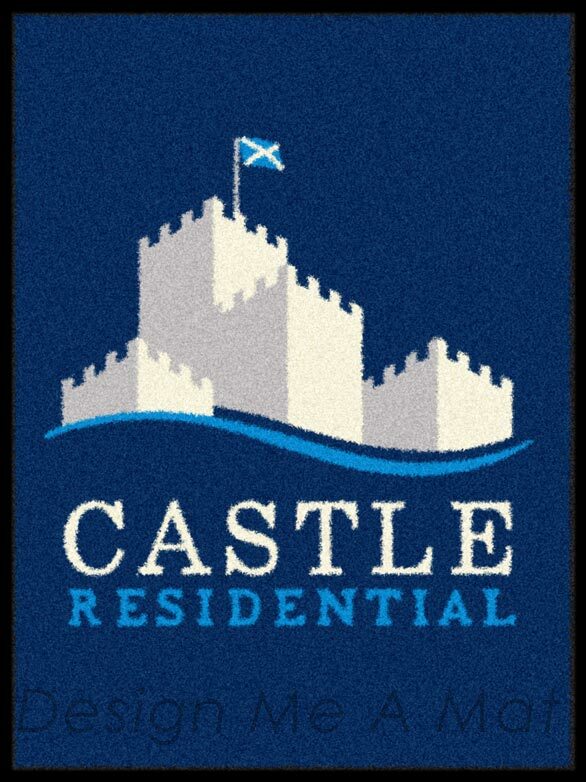 Delivery time for our Logo Mats will be approximately 5 to 10 working days from when your order has been placed. Times can vary at different times of the year. Our personalised Mats are produced using high quality solution dyes giving vibrant colour and clarity to your company’s logo or graphic image. 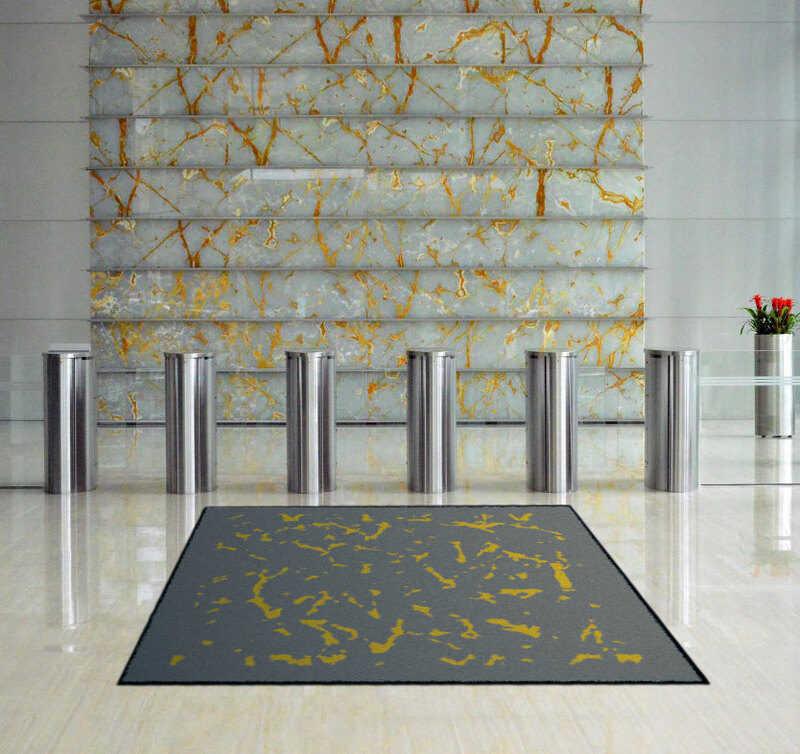 Your graphic will be digitally impregnated into the mat carpet using the latest Chromo jet print technology, ensuring vibrant rich colours. Our printed personalised mats can include up to 14 different colours from a selection of 53 from our comprehensive colour palette. With such a wide range of colours we should be able to match, or find a near match to the colours of your company logo or graphic image. We can also match Pantone colours, but due to the process involved it will be quite expensive per colour, so we would recommend you stick to choosing colours from our standard colour swatch. 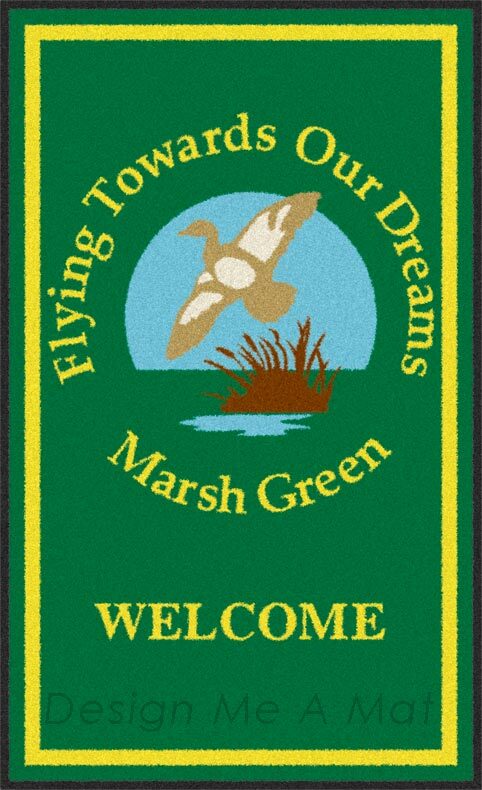 Custom Logo Mat sizes are available from 60cm to 6 metres. The maximum width on one of the sides will have to be 198cm. So the largest size we can make is 198 x 600cm. The smallest size is 60 x 60cm. Please note that custom mat sizes incur a 25% surcharge.